The stories we tell ourselves matter: As Joan Didion memorably put it, “We tell ourselves stories in order to live.” But journalists have a special responsibility because the way we frame our narratives doesn’t only affect us — it can influence readers and public policy. And the story we are telling about drugs isn’t working. A front-page article in last Sunday’s New York Times is a classic example. Headlined “Heroin Takes Over a House, and Mom, on New York’s Staten Island,” it tells the tale of a mother of three who lets her home become a heroin dispensary and shooting gallery as she begins selling the drug with her boyfriend. But that summary leaves out information that in a more accurate framing would be central. For one, Sperring was not just a bored homemaker who recklessly experimented with an opiate and got hooked; She’d already been addicted to crack cocaine and possibly alcohol for years and had lost her husband, daughter and two stepchildren as a result of her refusal to deal with those addictions. In fact, she met the dealer she lived with through a woman she was locked up with on Riker’s Island. Before even trying heroin, she’d served an eight-month sentence for identity theft, which she’d been committing to support her crack habit. Indeed, in the 1980s, the Times would almost certainly have told her story as one that illustrated the terror of crack, the demon drug of that period. The paper focuses on her heroin addiction now because that is the current drug-of-obsession. “She ran up credit card charges. She went to a P.C. Richard & Sons electronics store with her cocaine dealer and let him pick out a new computer and a camcorder for himself in exchange for $500 or so worth of drugs. Saying Sperring’s problem is heroin doesn’t tell the real story. Even if she’d never tried it, addiction had already “taken over” her life and addiction isn’t just about a particular drug. The predisposition to it may not have anything to do with drugs at all in fact — it may simply incline particular people to compulsive behavior across many dimensions. Research shows, for example, that at least half of all addicted people have more than one type of substance problem — and the more severe the addiction, the more likely it is to involve multiple drugs. And there’s another critical issue that gets elided in the Times’ rush to blame a trendy drug for a downfall. Sperring’s crack addiction didn’t come out of nowhere: She’d apparently been a longtime functional cocaine user before tragedy hit her family. Then, in 2010, her aunt’s son stabbed both of his parents to death. These weren’t distant relatives. Sperring worked for her aunt and uncle and was so close to her aunt that she saw her as almost a second mother, visiting with her daily. The young man who killed his parents suffered from schizophrenia, a condition that has genetic roots and that may also offer insight into Sperring’s story. Not only do most people with addictions misuse multiple drugs, around half have pre-existing mental health problems. For women, the rates are even higher. These conditions tend to run in families. In fact, the same genes that increase risk for schizophrenia can also increase risk for depression and bipolar disorder — and all of these conditions also increase the risk of addiction. Yet year after year, the media tells us stories of “drug epidemics” that sweep in, apparently from nowhere, and “take over” apparently random people and communities. What this narrative obscures is that the demand for some type of escape is reasonably constant and that the people who are affected share some key characteristics, which make all the difference. Among people who have good coping skills, a sense of meaning and purpose, the opportunity for productive work and good mental health, addiction is rare. Only about 10-15 percent of people who try heroin become addicted to it; the same is true for crack. If you don’t use these drugs during adolescence or early adulthood, the odds of addiction in later life are in the single digits. And who tends to use earliest? People who have experienced trauma and neglect, those who live in violent, chaotic neighborhoods, have addicted or mentally ill parents and/or who show early signs of mental illness and behavioral problems themselves. Drug epidemics also have clear antecedents and they don’t just happen anywhere. Rising unemployment tends to precede them, and despite media fear-mongering, they never hit employed middle-class people and the neighborhoods they live in as hard as they slam those without means, alternatives, education and opportunity. Many of the young men who sold crack in the 1980s, for example, had lost factory jobs, as the research of anthropologist Philippe Bourgois showed. De-industrialization and large job losses often directly precede an epidemic in a community. When we tell drug stories as accounts of individual sin and redemption, we ignore this larger context. When we try to claim that heroin is an “equal opportunity” drug, we miss the story of who is most at risk and why. Ms. Sperring told the Times, “People have this misconception that you have to look a certain way. There’s not a face of heroin.” While that’s true — the stereotype of the junkie is racist and the idea that white people are rarely affected is false — it is also incorrect to claim that all people are at equal risk of getting hooked. Employment, education, trauma and mental health are critical. And so rather than focusing on one drug after another, we need to look at why the demand for them is always there, at how to help people who are traumatized or mentally ill, and at how to increase meaningful employment. 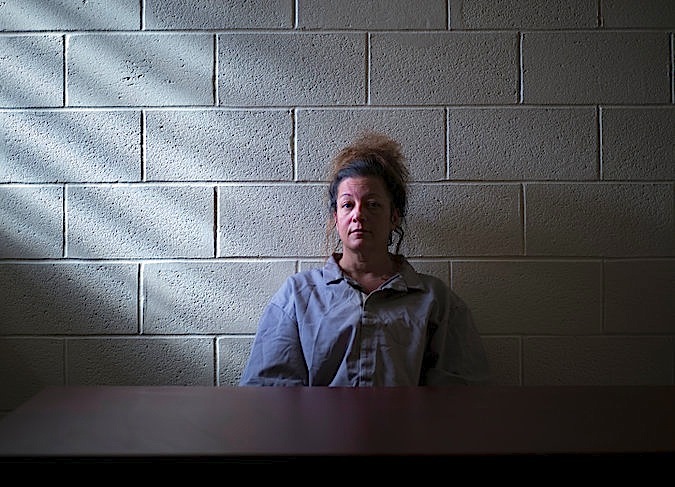 In Sperring’s case, for example, a sensible system would have evaluated her when she was arrested during her cocaine addiction, would have offered treatment for her addiction and for the trauma that preceded it, and would have tried to help her re-assemble her life. In fact, New York Mayor Bill de Blasio has just proposed a new initiative that will try to provide services to extricate mentally ill and addicted people from the criminal justice system or to try to keep them out of it in the first place. But if we continue to focus on particular substances and the idea that they come out of nowhere and can “take down” anyone, we won’t support policies that actually work. If heroin were the problem, reducing supply would be the solution — however, we already know how well that works. The recent rise in heroin use itself followed a crackdown on supplies of opioid painkillers — rather than stopping addiction, this merely displaced it. By continuing to chase drug after drug, we miss the chance to target the real causes of addiction and to ensure that supply-side strategies don’t increase harm by pushing people to more dangerous substances or activities. To support better policies, we’ve got to tell better stories.